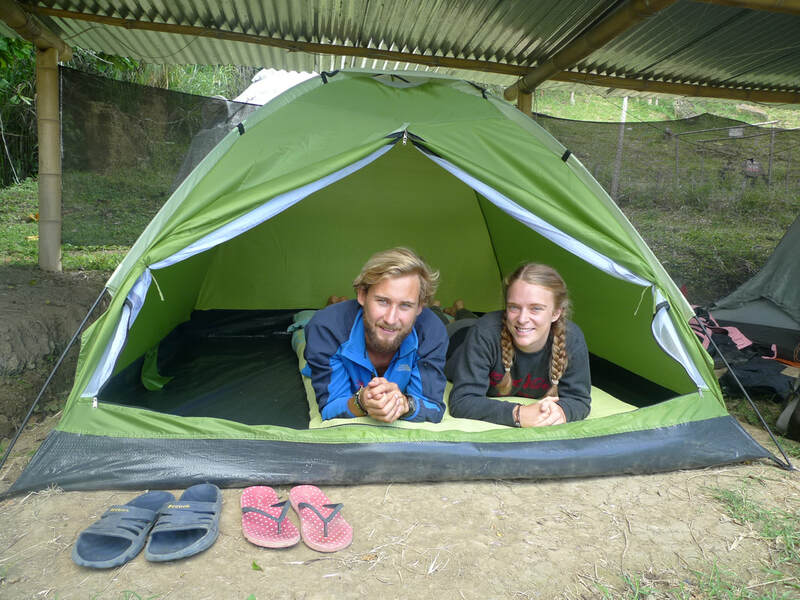 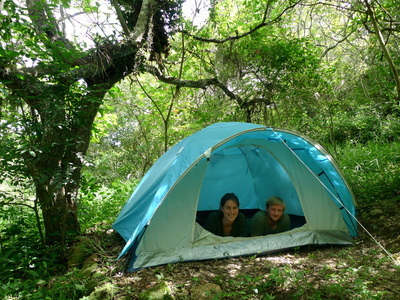 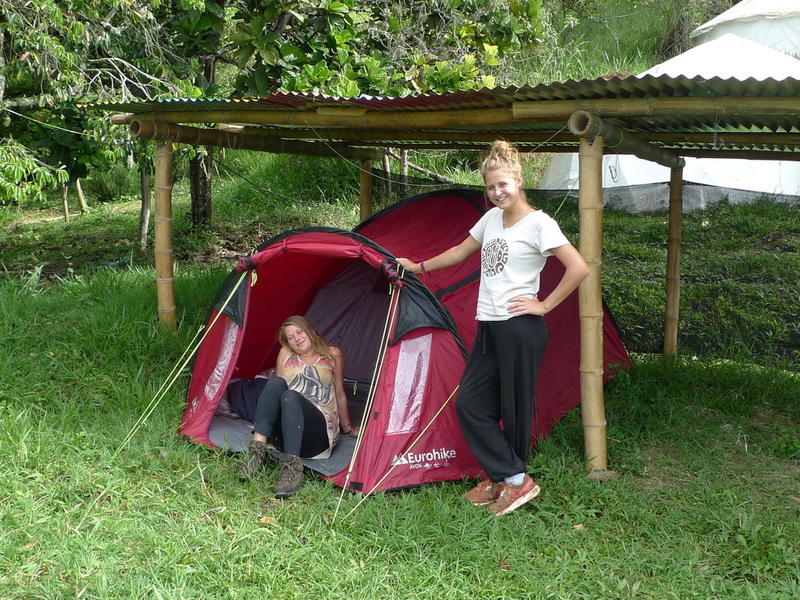 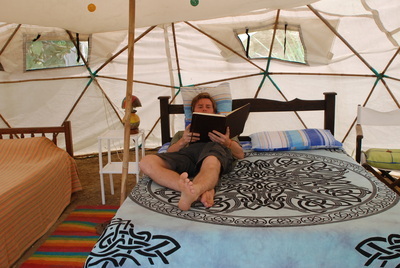 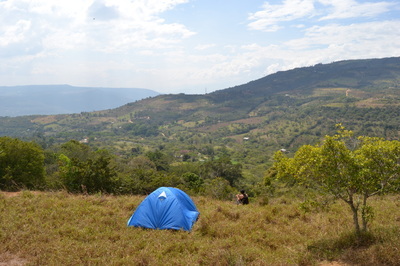 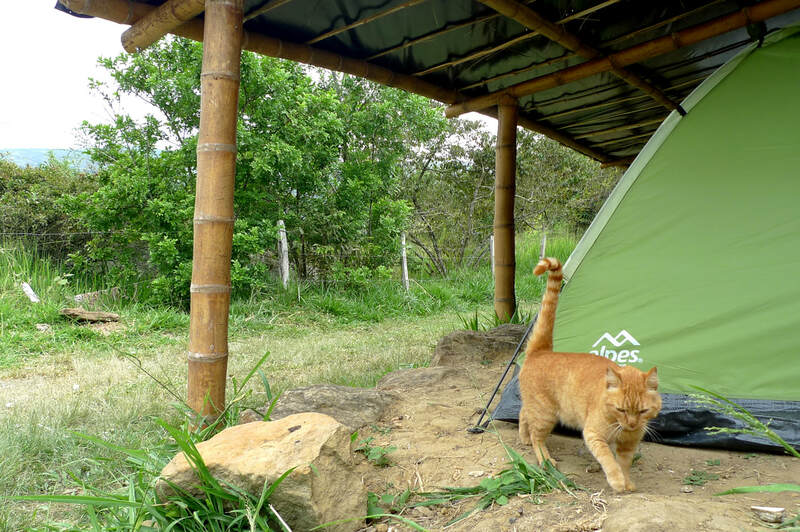 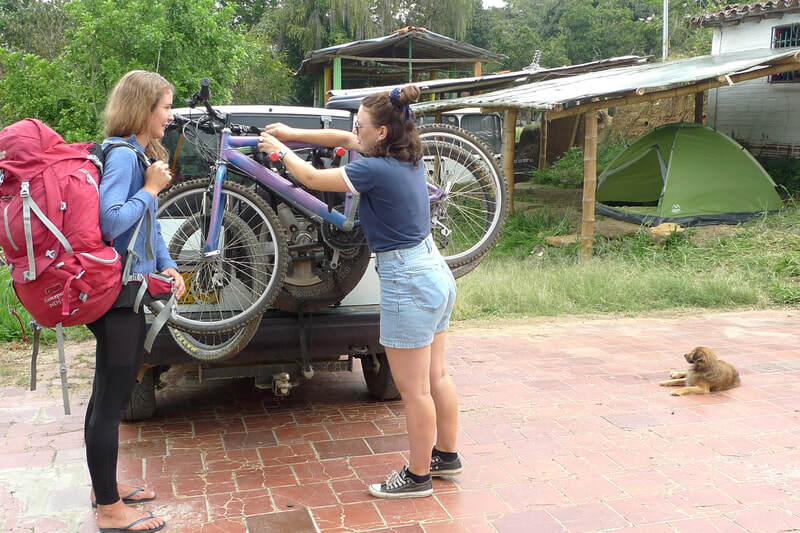 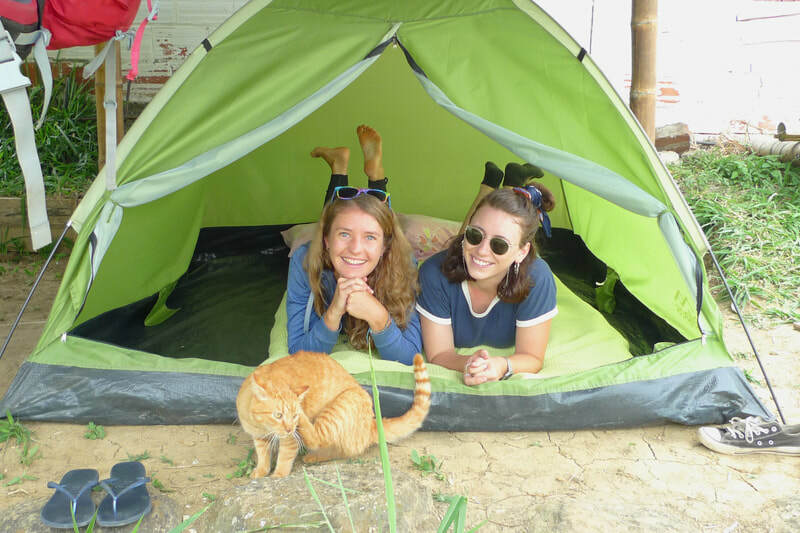 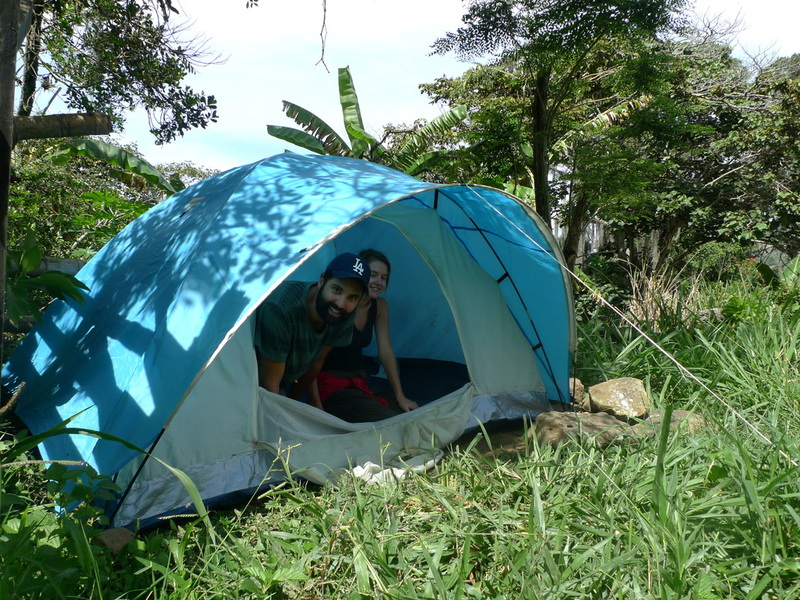 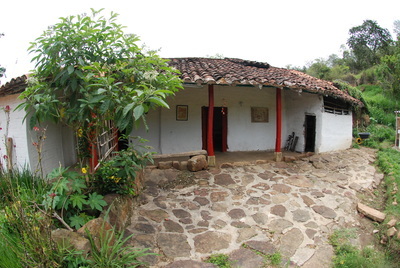 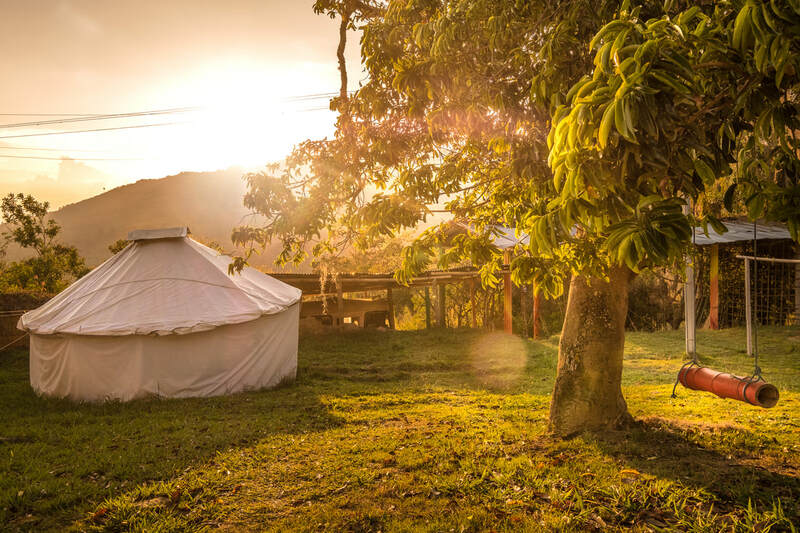 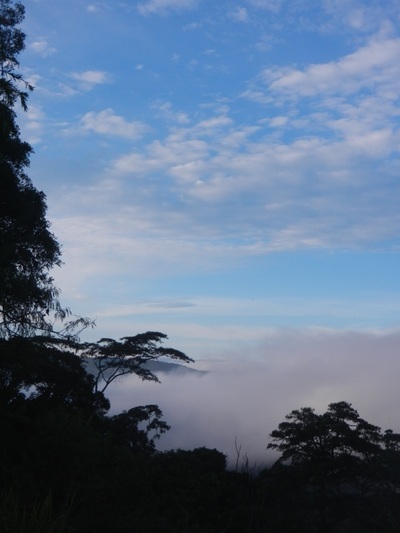 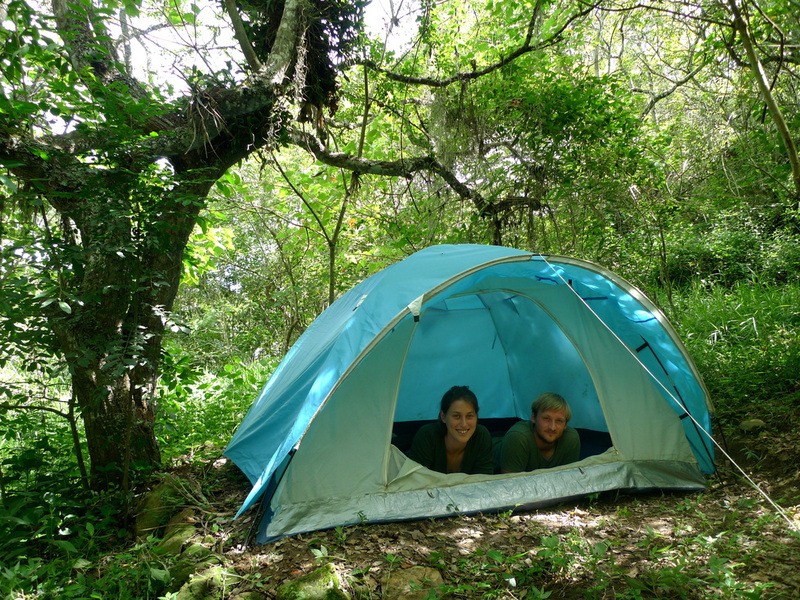 La Pacha Hostel is simply the best place to camp in the San Gil / Barichara area. 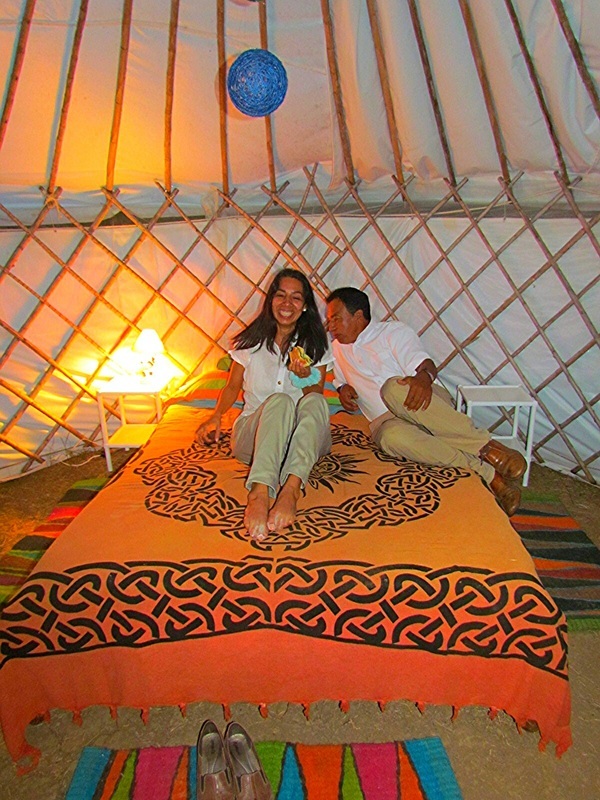 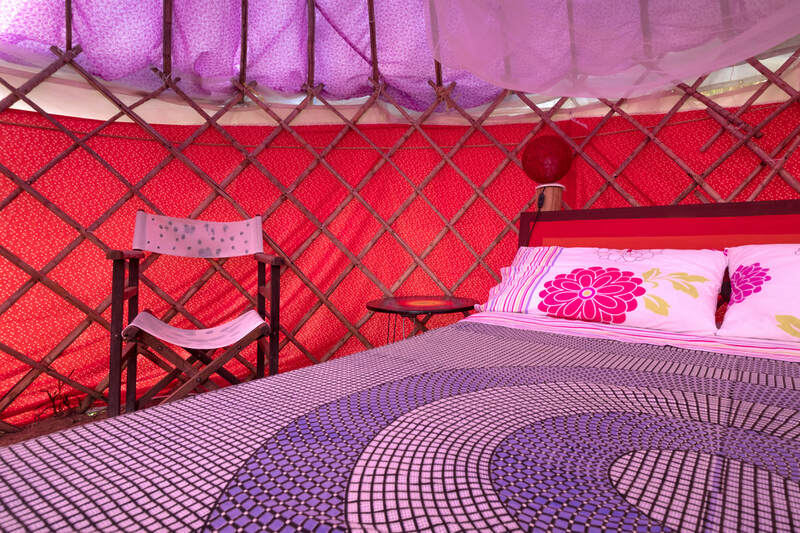 We've got luxury camping (glamping) with our yurt and geo-dome and normal camping with amazing views and all the facilities. But if you want a bed in a normal room, we've got that too. 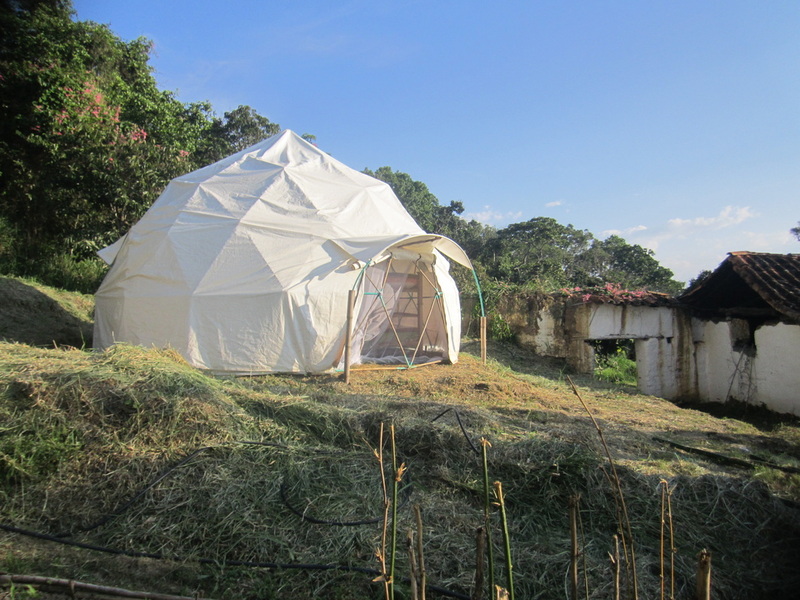 High season dates are as follows: Dec 28-Jan 13 and Holy week April 13-20th. 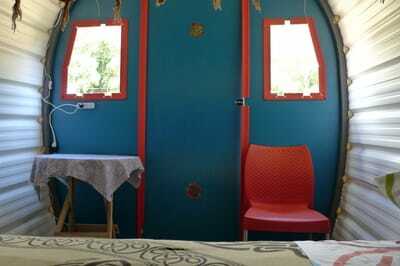 Gypsy Wagon with double bunk bed, table, chair, electricity and lamp. 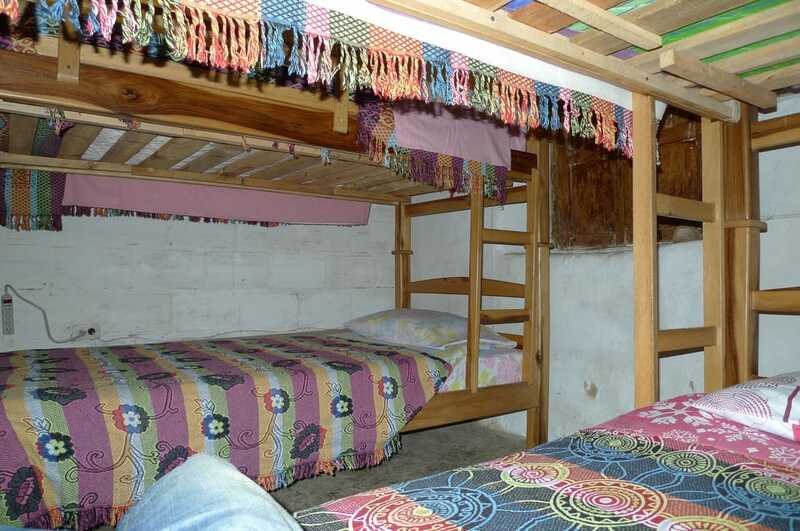 Lots of storage space under the bed. 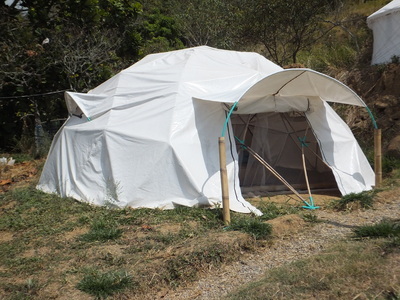 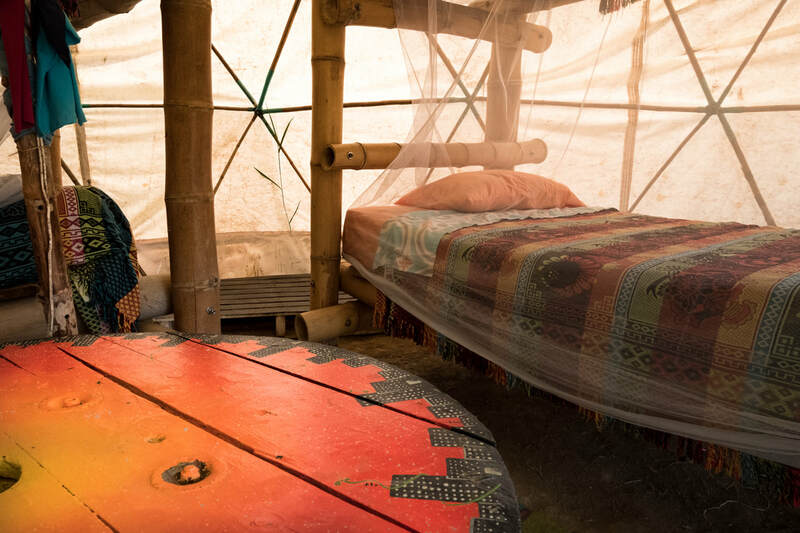 A geodesic dome made from local caña brava with a double and a single bed. It has an electric socket and lamp. It has a porch area for muddy boots, windows, earth floor with rugs, cupboard and bedside table. 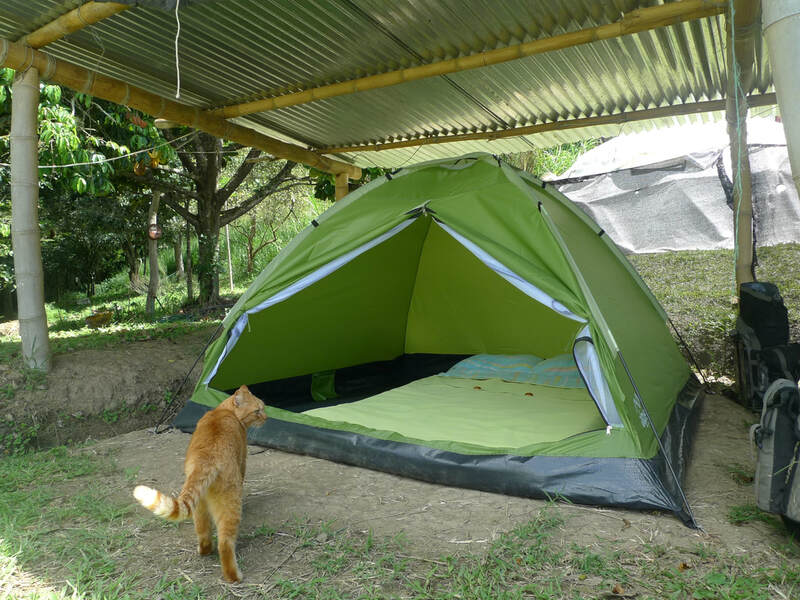 It is protected from rain by a waterproof outer cover and surrounding drainage ditch to keep you dry even during the worst of the rainy season. 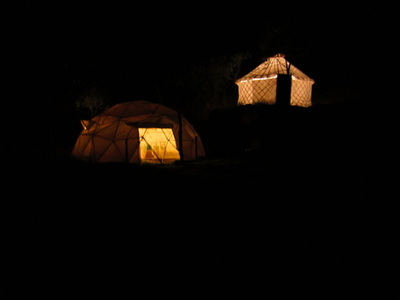 Mosquito netting covers the windows and porch to keep away the bugs. 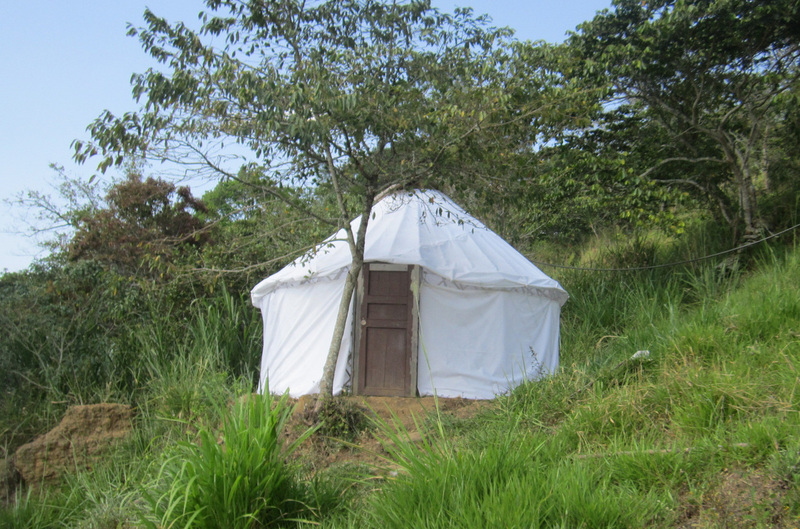 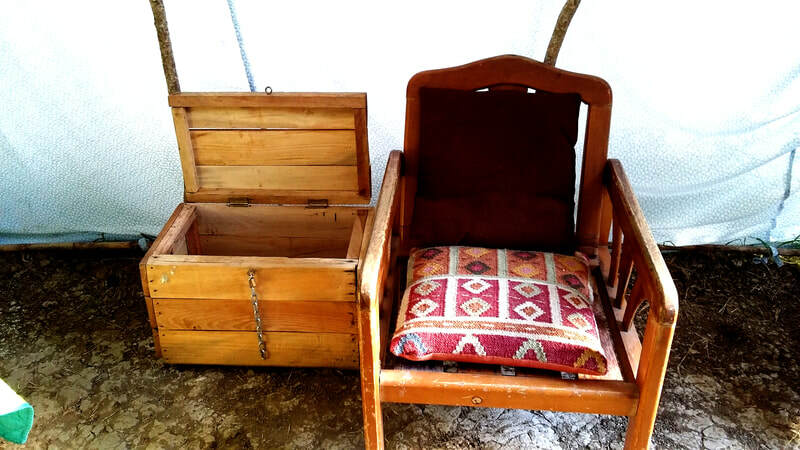 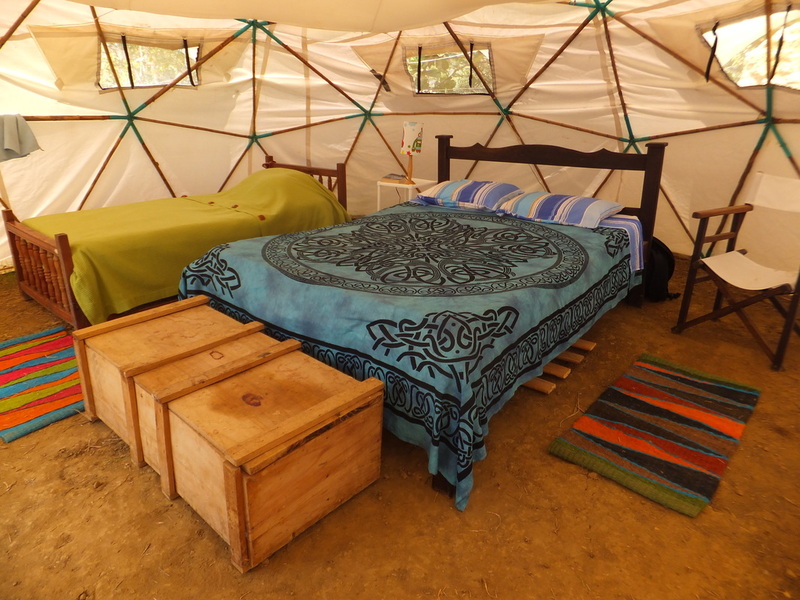 Made from local caña brava , they have electricity and lamps, a double bed, earth floor with rugs and a wooden door. They're well ventilated and protected from the rain by a crown roof, waterproof cover and surrounding drainage ditch. 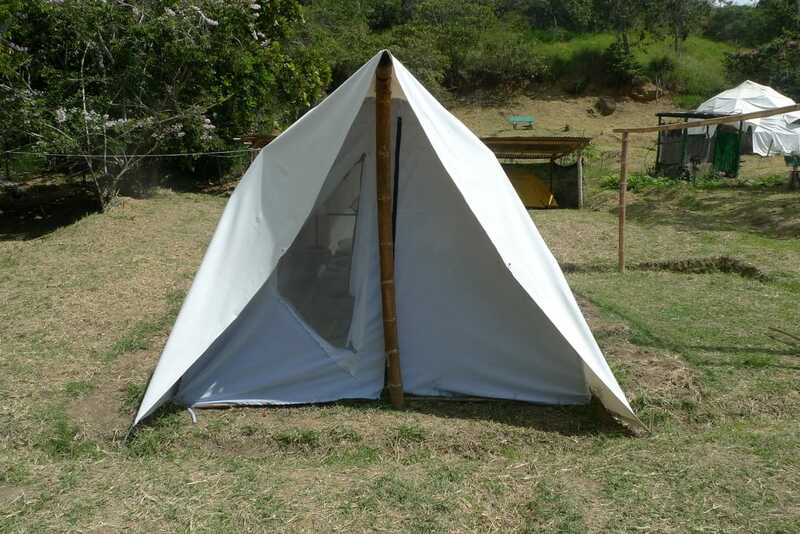 Mosquito netting covers the ventilation to keep out bugs. 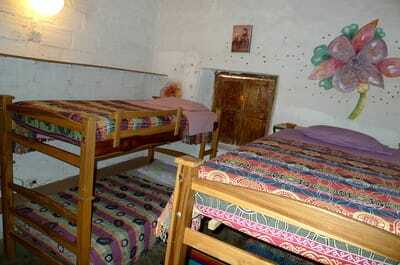 Double bed with tables, electricity, trunk, lamp and lots of space for luggage or extra mattress. A 6 bed dome in the main campsite. 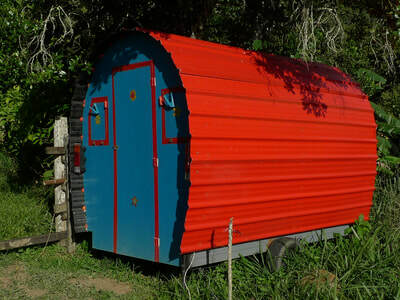 It has electricity, central light and a porch area for muddy boots, windows, earth floor with rugs, cupboard and bedside table. 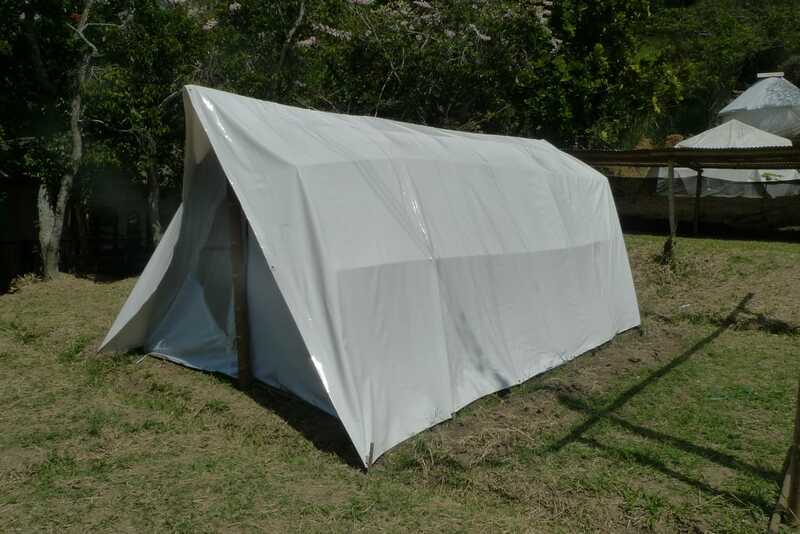 It is protected from rain by a waterproof outer cover and surrounding drainage ditch. Mosquito netting covers the windows and porch. 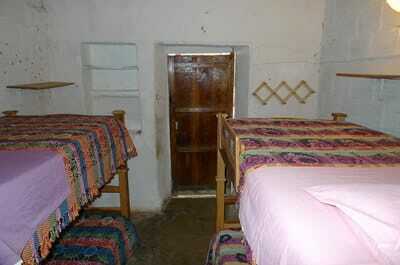 A quadruple room in the main farmhouse, adjacent to the kitchen and with patio, campfire and bathrooms outside. 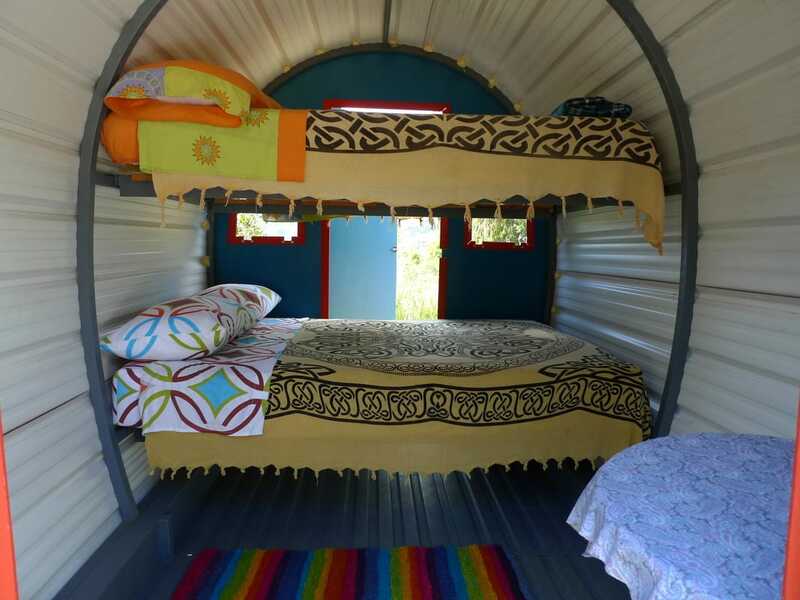 It has two bunk beds. Forest Camping - 2 minutes walk from the main camping area. This area is only for camping with your own tents. We do not rent tents our own tents here. 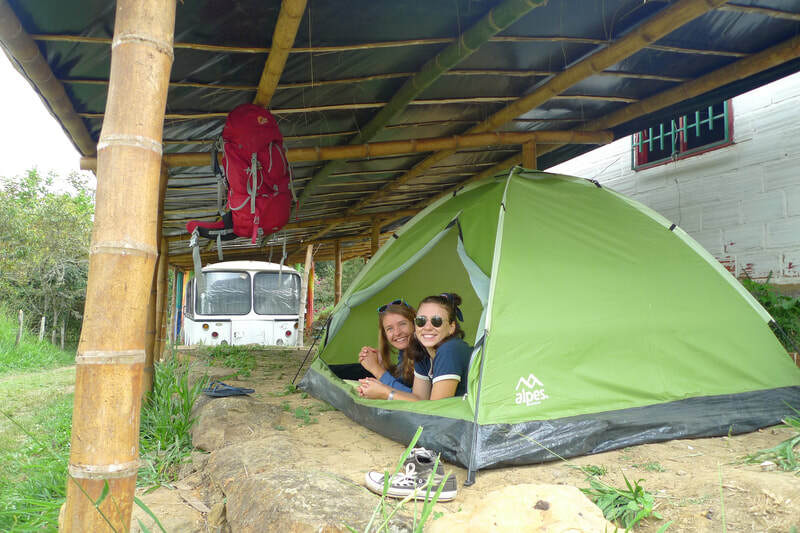 Main Camping Area - A flat roofed area in the middle of the site and close to the kitchen, shop, toilets and bus. 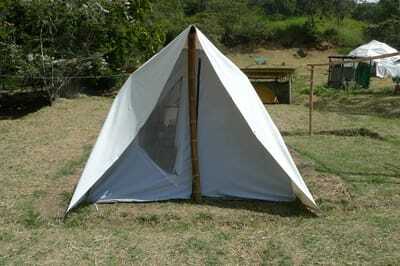 We can provide tents with a camping mattress and blankets. 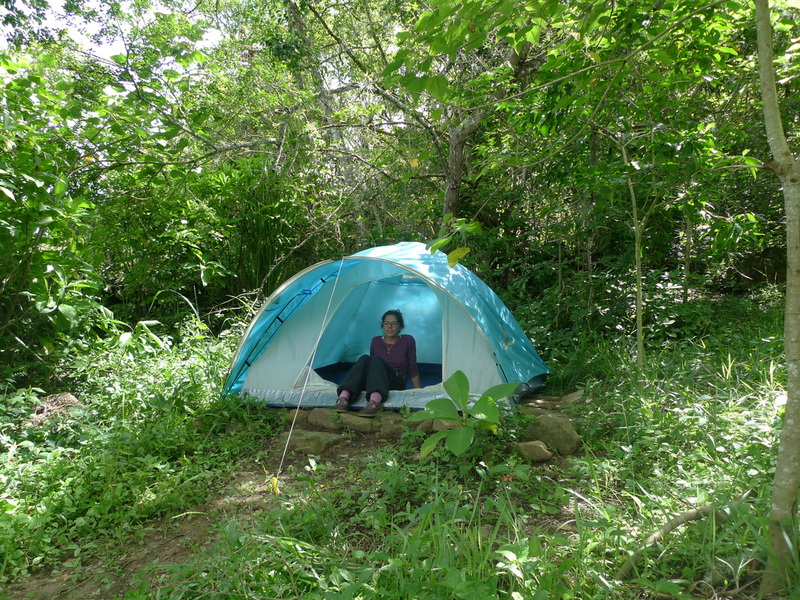 New Camping Area – A roofed area next to the car park with a mountain view (through the trees!). 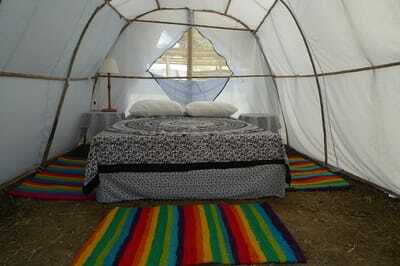 Near the hammock and campfire area and the movie bus. Mirador Camping – A flat area with a great view of the forest and valley below. 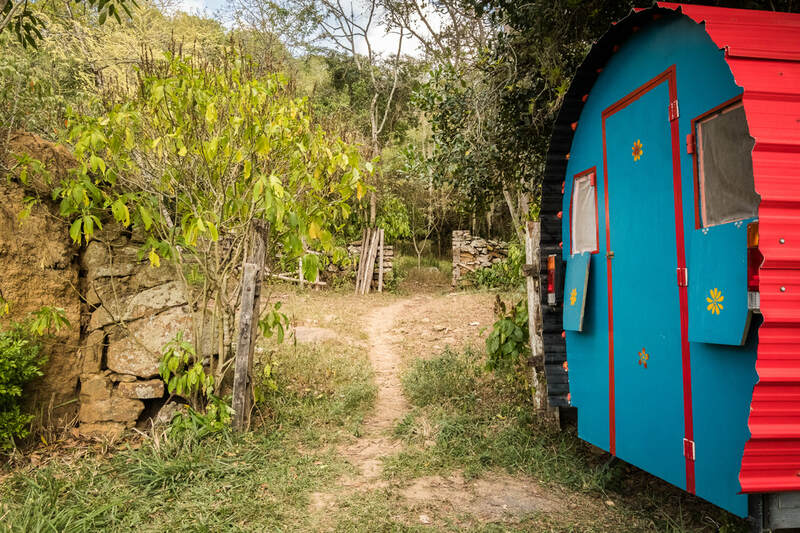 Accessible by a 5-minute climb through the forest by path. 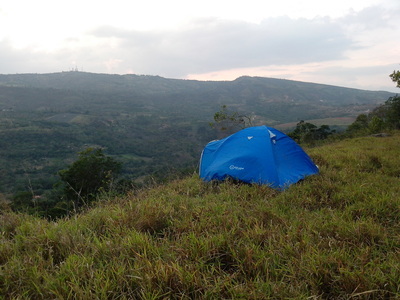 This area is only for camping with your own tents. 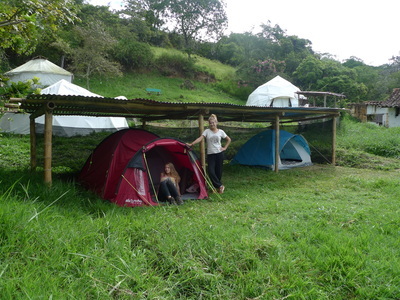 We do not rent tents our own tents here.